BALTIMORE (CNS) — Inside a luminous cathedral where many of their ancestors historically attended Mass segregated in a rear balcony, hundreds of African-American Catholics from across the country filled every pew of the Basilica of the National Shrine of the Assumption of the Blessed Virgin Mary in Baltimore Nov. 17. 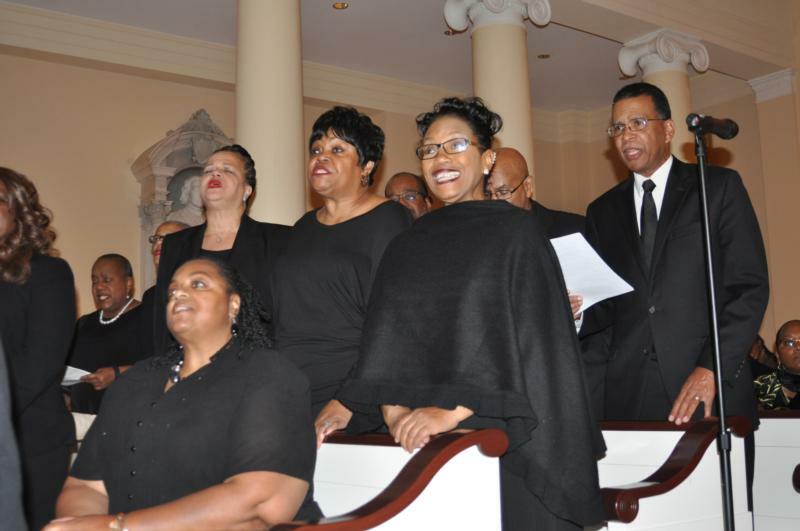 Joining men and women from many different backgrounds, they gathered to celebrate the 125th anniversary of the founding of the Josephites, a society of priests and brothers established in Baltimore to minister to the African-American community. It was a jubilant celebration not only of the dedicated ministry of the Josephites, but also of the people they have served for more than a century. The mission of the Josephites, formally known as the Society of St. Joseph of the Sacred Heart, was never easy, Father Thompson said. After the Civil War, he said, the Catholic Church struggled caring for the spiritual needs of some 7 million persons of African descent, many of them former slaves. “They were faithful to their God, yet poor, uneducated and suppressed by evil and cruel treatment,” Father Thompson said. At the request of U.S. bishops in 1871, Pope Pius IX asked Father Herbert Vaughn (a future cardinal) to send missionary priests from the Mill Hill Fathers in England to minister to black Americans. The Josephites separated from the Mill Hill Fathers in 1893 to form their own society. 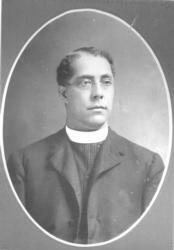 Although they lacked manpower and resources, Father Thompson said, the Josephites remained committed to their mission. They received support from St. Katharine Drexel, a wealthy Philadelphia heiress and founder of the Sisters of the Blessed Sacrament, who spent much of her fortune to purchase land for Josephites to build churches and schools. Many other women’s religious communities, including the Baltimore-based Oblate Sisters of Providence, also helped in the Josephite mission, he said. Father Charles Uncles, a former parishioner of St. Francis Xavier in Baltimore, was among the four founding Josephites. He became the first African-American ordained to the priesthood on American soil when Baltimore Cardinal James Gibbons administered the sacrament of holy orders in 1891 at the Baltimore Basilica, an event that attracted national attention and coverage from The New York Times. In welcoming guests to the Josephites’ anniversary celebration, Baltimore Archbishop William E. Lori said he considered himself an honorary Josephite. When he was a deacon and a young priest, he served at Josephite parishes in the Archdiocese of Washington. “Please know that your enthusiastic presence brings great joy to this basilica and to the whole church,” Archbishop Lori said. Bishops concelebrating the Mass with Archbishop Lori were Bishop John H. Ricard, rector of St. Joseph’s Seminary in Washington and a former auxiliary bishop of Baltimore; Baltimore Auxiliary Bishop Denis J. Madden, urban vicar for the archdiocese; and Washington Auxiliary Bishop Roy Campbell Jr.
During the liturgy, which took place during National Black Catholic History Month, a gospel choir made up of parishioners from a variety of Josephite parishes led the congregation in song. More than 200 members of the Knights and Ladies of Peter Claver were also present for the celebration, including an honor guard. During a banquet at the Baltimore Convention Center following the Mass, Supreme Knight James Ellis of the Knights of Peter Claver announced that in honor of the Josephites’ anniversary, the Knights plan to sponsor a scholarship for Josephite seminarians. The Knights were founded by the Josephites more than a century ago in Alabama to provide a Catholic fraternity for black men who were denied admittance to other such groups. For much of their history, the Josephites have been known for their commitment to social justice. They participated in the civil rights struggle and encouraged black Catholics to take leadership roles in the church. St. Augustine High School in New Orleans, founded by the Josephites, won a legal battle in 1967 that led to the desegregation of Louisiana high school sports. Following the unrest in Baltimore after Freddie Gray died from injuries sustained while in police custody in 2015, the Josephite parish of St. Peter Claver became the epicenter for a cleanup effort in the days following the riots. In an interview with the Catholic Review, the media outlet of the Baltimore Archdiocese, Bishop Ricard said he was inspired to become a Josephite priest while growing up in the Jim Crow South. The first African-American bishop in the Archdiocese of Baltimore, he is the retired bishop of Pensacola-Tallahassee, Florida. The Josephites have worked to encourage religious vocations from the African-American community to ensure that “everybody receives God’s care and love,” Bishop Ricard said. St. Joseph’s Seminary, where Bishop Ricard now serves, was originally located in Baltimore and was the first seminary in the country to educate both black and white candidates to the priesthood. After the restoration of the permanent diaconate following the Second Vatican Council, the Josephites also were at the forefront in educating new deacons. Since the 1990s, the Josephites have been reaching out to Africa to encourage Africans to consider ministry in the United States with the Society of St. Joseph of the Sacred Heart. The Josephites now run a house of formation in Iperu-Remo, Nigeria. Matysek is digital editor for the Archdiocese of Baltimore.